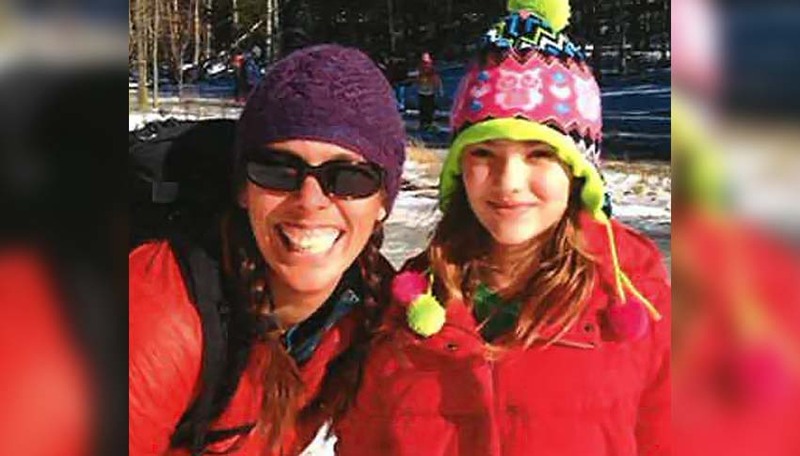 While growing up, Jennifer would have loved a female role model adventure seeker. Instead, she settled for crashing her brother’s Boy Scout troop adventures in the hopes of learning about the outdoors – which her brother was not too thrilled about. This passion for the outdoors led her to pursue a career in wildlife biology that always kept her on the go. “I trapped wolves in Minnesota, tracked sage-grouse in Wyoming, and measured salmon habitat in Washington,” Jennifer said. After a couple years of being a transient biologist and getting her master’s degree, she settled in Laramie, Wyoming. She immediately signed up to be a Big Sister and got matched with Little Sister Sarah. Sarah’s mom wanted someone who could give Sarah more on-on-one time with activities and help to boost her self-confidence. What she got was so much more. “As any Big, at the beginning, I was concerned that my Little might not like me or enjoy the activities I planned,” Big Sister Jennifer recalls. “Those concerns proved to be unfounded.” Sarah has a positive attitude, loves to laugh, and loves adventures. Jennifer has taken the time to develop a strong foundation with her Little, and she created a great partnership with the family by being consistent and communicating with them. Jennifer has supported, encouraged and taught her Little positive behaviors. When they first were matched they would do activities that let them get to know one another. As their friendship strengthened and the trust was built, they started going on more adventures and helped each other grow by trying new things together. Ice skating, skiing, rock climbing, kayaking, and white water rafting became part of their normal routine. As the activities grew in intensity, so did Jennifer’s attention to safety and education towards her Little. Jennifer has instilled the importance of safety in her Little as well as the trust in their training equipment. While training, Jennifer works to understand and teach Sarah what the protocols are as well as what her limits are to ensure her safety while participating in these activities. Encouragement is a big driving force in their relationship and Jennifer makes sure to never force Sarah into doing anything she is not comfortable doing. The feeling is mutual as Jennifer thinks how much Sarah has taught her in not taking life so seriously. “I’m grateful that Sarah has reminded me that it’s okay to be silly in public. That it’s OK to wear a fake mustache while baking cookies and it’s okay to break out in dance at any time,” Jennifer added. This match will continue to make fantastic memories together and have developed the foundation for a life-long friendship.